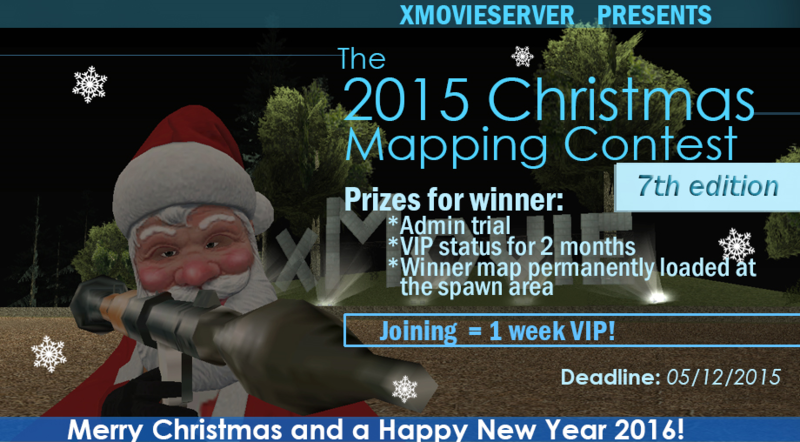 This year we'll have our 7th mapping contest for Christmas. As always, the objective is to make the best looking Christmas-themed map. 1) Leave a reply to this topic. Make sure you also send a PM to me with the name and password of your map. 2) Use '/irc joincontest <map name>' while you're ingame. If you don't get a confirmation message, try again later. You're obviously also allowed to do both. Map will be copied to the spawn area and will be permanently loaded in December and January. Winner's name will frequently be announced in [INFO] messages as the winner of the contest and creator of the map at the spawn in December and January. Map will be permanently loaded in December and January at its original location. The second prize rewards will be given to every participant with a decent map! Prizes may also be given away, if possible. - The maximum amount of objects is 200. - The map has to have at least a tree, anything else may be added. - All objects are allowed, but extensive use of SA-MP objects is not recommended. - The map must be on a flat surface so it can be easily relocated to the spawn area if it wins. 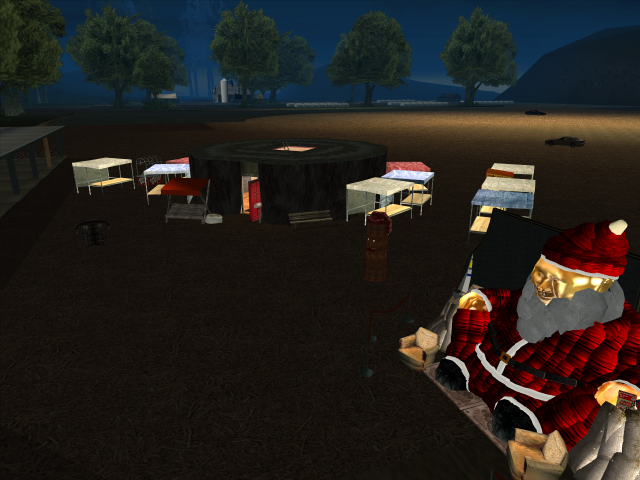 - The tree may not be too thick so it fits in the cabin on the screenshots below. - Important factors that help to win are originality, precision, detail and realistic look. - Each participant is allowed to make multiple maps to increase their chances of winning. - It is allowed to make one map with multiple people, although the prizes will have to be divided. - The map has to be made in xMovie, importing maps is not allowed. 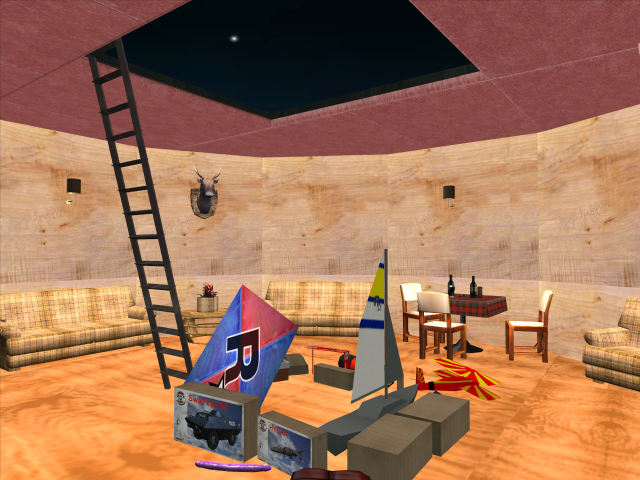 - Check out this topic to help you find objects. Since the winning map will be copied to the spawn area, it might be a good idea to make the map there right away. 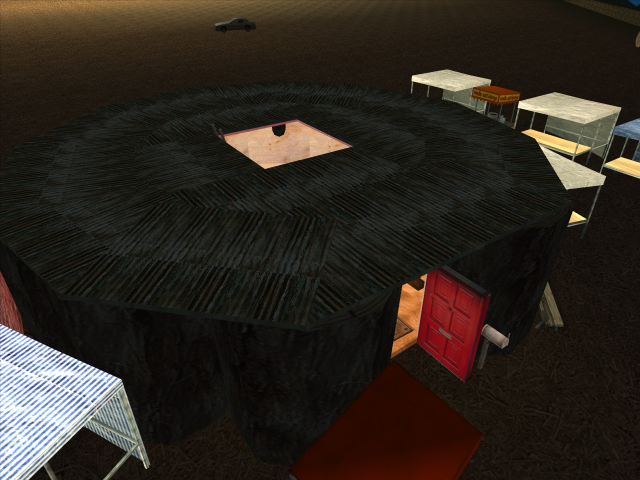 However, mapping at the spawn is not possible, but instead a replica of the spawn area can be used. There are several copies of this map so multiple people can use them at the same time in different worlds. The names are 'spwn', 'spwn2', 'spwn3', etc. The password is 'spawn' for each of these. Make sure you create the objects of your map on your own map and not on one of these spawn maps. Keep in mind that if you make the map on this spawn replica and you don't win, the second prize of keeping it permanently loaded on its original location in December and January, won't be possible. *The VIP period can be ended sooner if the commands are misused or if rules are broken too often.